Since we moved to CA I've had some major sticker shock on things like gas and groceries! But man is the produce A-mazing....I cannot wait to explore some of the great farmers markets in my area! My grocery store does have gorgeous bell peppers for 1$. 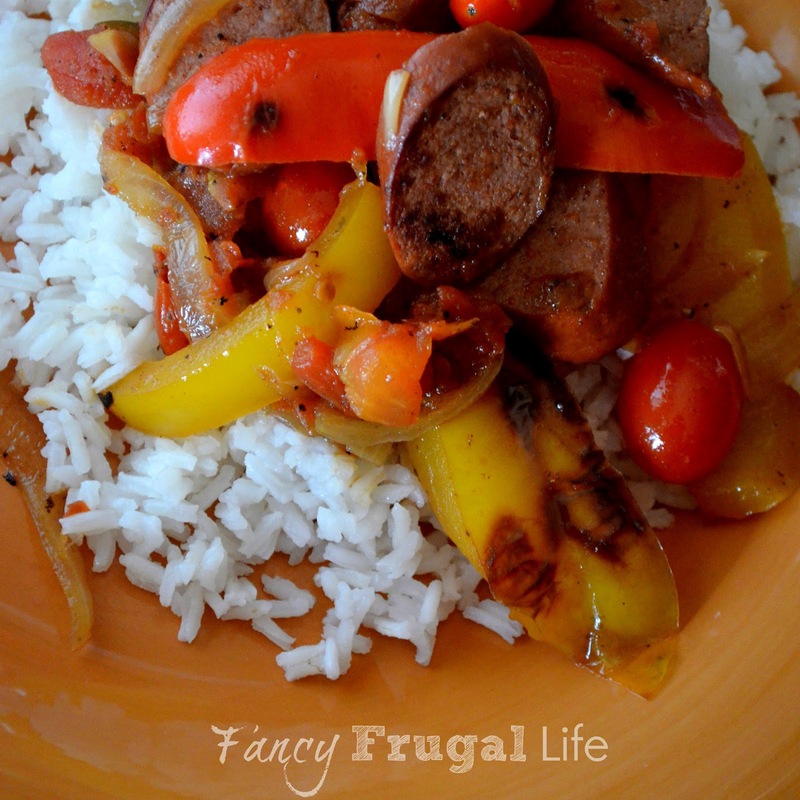 Here is a super easy yet yummy week night dinner that my entire family loves! After the sausage and veggies are browned add a can of stewed or diced tomatoes. Serve over rice or quinoa and you have a fantastic meal!